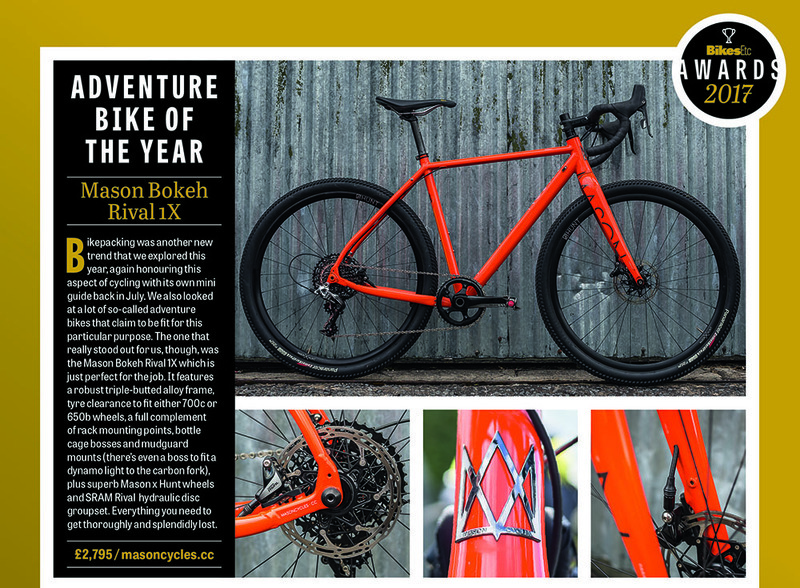 "...it lets you go further and more extreme than just about any other drop bar bike." The ISO is made for much more than 'normal' gravel and fast stretches of strade bianche looking roads. It's an adventurebike made to do whatever you want. 180 miles riden and Amelia (Resolution) just gets better and better. Rear mech has been adjusted to account for cable stretch; it's perfect. It's brill; other riders who have heard about the brand are universally complementory when they see it in the flesh, and those who haven't are, generally, blown away by the looks, finish and lightness. I've never owned a bike before that I'm so happy with 'just the way it is'. So, it's the time of year for the 4Season bit of the resolution to come in to play once again... mudguards on and rolling on winter tyres. It is awesome to see everyone else begrudgingly dragging out their old winter hacks (which most of them don't like!) whilst still riding about on the bike I love! It’s beautiful. Took it for a spin today on a small mixed road/off road loop around where I live next Alexander Palace, Muswell Hill. Some lovely sections of single track around the hill, very short but still better than being on the road. Even before taking it for a ride you just have to look at the fork and you know this bike means business. It is amazing. Properly gob smacked. There are some tasty, steep rooty muddy sections. It climbs better than my xc mountain bike. Even with the Comets. Must be the weight placement over the front and all the power just goes down and pushes you up. Going down. It’s not a mountain bike with that rigid fork, so line choice is very important but it is pretty close. Was quite comfortable getting airs of small drops at speed. The bike is so stiff, but so comfortable. You can really feel it by the way it tracks down the trail and goes where you point it. Thru axles. Can wax lyrical about them. What is with some people and progress, or lack therof. The sizing is spot on. Much better than my current soon to be sold road bike! So happy. Going to save up for some Hunt CX30 Gravel/Carbon Rims. Fit them with Sector 28 and that will be it for the summer Sportives. Just swap the wheels and go. Two bikes for the price of one.